Kai Legband and his New Jersey Institute of Technology Highlanders (NJIT) Swimming and Diving teammates are the 2018 ECAC Winter Champions! NJIT posts 1635 points to win by a whopping 329 points over the 10-team field and second-place Monmouth University who finished with 1306 points. In addition, NJIT's first-year head swimming and diving coach, Ron Farina, was named "Coach of the Meet." The Top-5 was rounded out by Fairfield University finished with 1152.5 points, Manhattan College had 1048 points and Lafayette College finished with 945. Freshman Legband set the tone early, as he won his second Individual race of the three-day meet by taking the 100 Yard Freestyle. Legband’s time of 45.05 was nearly two seconds ahead of his teammate Joshua Franco who placed second in the event at 46.53. Legband’s time was also a NCAA Division III B Standard Time. Legband swam the second leg for NJIT during their Men’s 800 Yard Freestyle Relay win clocking 6:52.82. During the Men’s 50 Yard Freestyle, Legband clocked a NCAA Division III B Standard Time touching the wall in a winning time of 20.65. 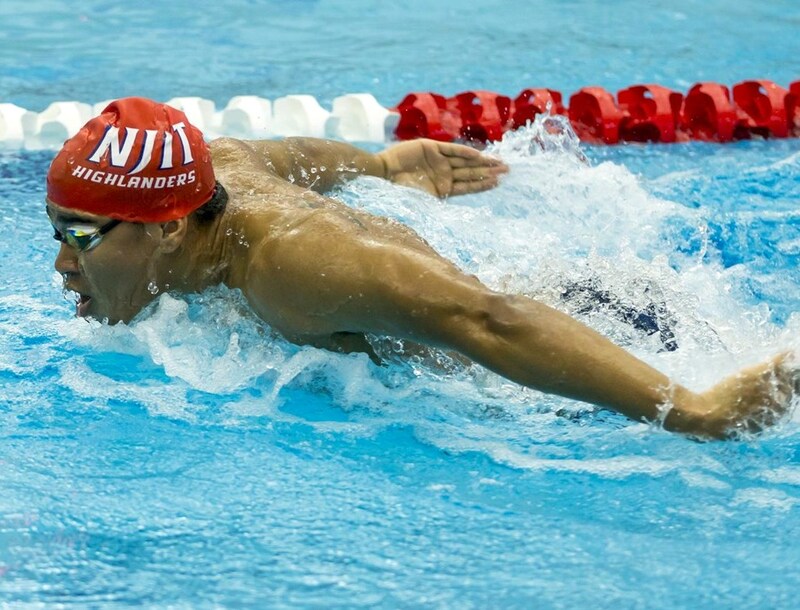 Legband swam the anchor leg for NJIT on their way to winning the Men’s 200 Yard Freestyle Relay with a time of 1:24.59. Legband finished 7th competing in the Men’s 100 Yard Butterfly clocking a time of 51.99. Legband would swim the anchor leg for NJIT’s Men’s 400 Yard Medley Relay team that finished 3rd clocking a time of 3:27.43. Legband led off the NJIT Men’s 400 Yard Freestyle Relay team that clocked a winning time of 3:05.98.